It’s been waaaay too long since I’ve paid a visit to The Ocean State. Have you been lately? It’s gorgeous! 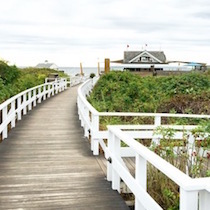 Westerly: Home of T-Swifts beach house/mansion, Westerly is a laid-back coastal area that is home to a stunning landscape of homes. 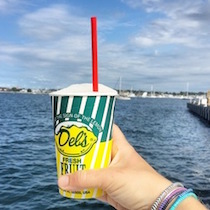 The beach and downtown Watch Hill feel like throwbacks to beach days in the 1950’s with the boutique stores, popcorn shop, beach marts, and an old-fashioned carousel. 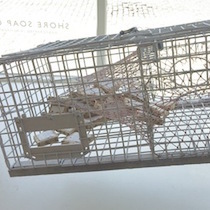 The Ocean House Boutique and Huxter Goods are two stores that stood out to me for their coastal-inspired, tasteful products. 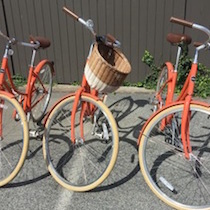 We took a bike ride through Westerly and it was absolutely stunning…the shutter-clad homes and the ocean views…#priceless. 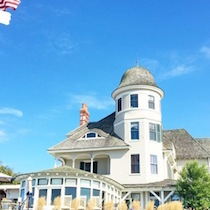 The Ocean House– I was blown away with this elegant, historic hotel. 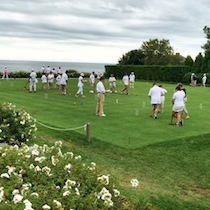 There was a refreshing vintage vibe here with players dressed in white on the croquet lawn and men wearing brimmed hats and suit coats on the porch. Old-fashioned memorabilia fills the interiors and adds the perfect touch to this charming place. 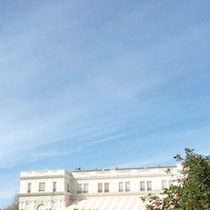 Cost wise, The Ocean House might be more of a place for sight-seeing (Taylor Swift’s House is right next door!) and enjoying a leisurely lunch on the patio. Absolutely worth a visit in my mind! 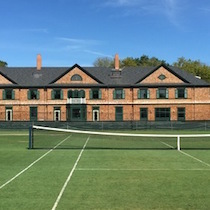 International Tennis Hall of Fame– Beyond impressed with this throwback to America’s past time. 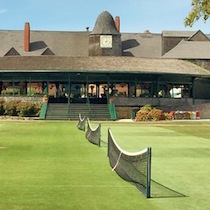 As an avid tennis player, a visit here has been on my to-do list for many years. 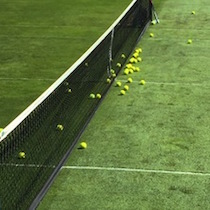 Tours and museum visits are $15.00 but walking the grounds, seeing players on the courts, reading plaques, and visiting the shop and restaurant are all complimentary… so that’s the route I chose:). 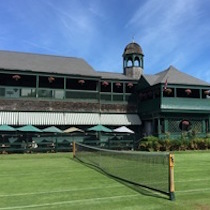 Tennis whites, perfectly manicured grass lawns, green and white striped awnings, and historic buildings…a match (pun intended:) made in heaven! Bike Ride Along Ocean Avenue – WOW. One of the most beautiful bike rides I’ve ever been on. There are ocean views along the majority of this road and stops along the way for a little break. 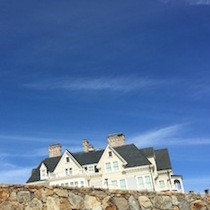 We stopped at Castle Hill Inn and were in awe of the classic, New England charm. The lawn is fun for relaxing and enjoying a beverage :). 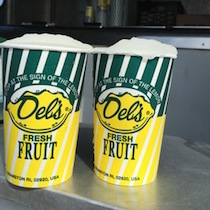 Del’s Lemonade – Y.U.M. 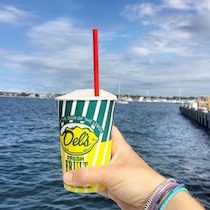 I seriously can’t get enough of this fresh, lemony taste – a Rhode Island classic! 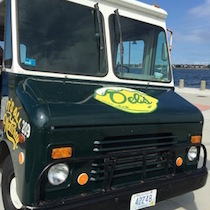 We bumped into a Del’s truck at Fort Adams State Park situated right on the water. 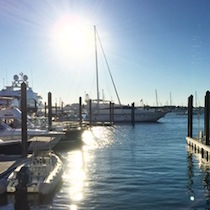 The park is free to enter, take in the beauty of Newport Harbor and see the historic fort. 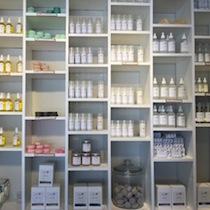 Shore Soap Co. – A beautiful flagship store for this Newport-based, handcrafted soap company. Their products are made with a focus of cleanliness, hydration and using all natural, high quality ingredients! 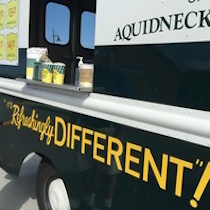 Lemon and Line – Another Rhode Island Flagship! This Newport-based rope bracelet company is headquartered at their downtown shop. 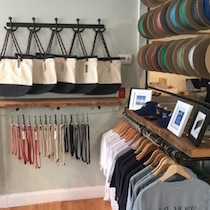 I had the pleasure of talking with the owner of Lemon & Line, David Norton, at the shop…you can learn a bit more of his sailing-inspired company from our interview, here! 41 Degrees North Hotel – We found it difficult to pin down a local hotel that was beautiful, modern, and affordable. 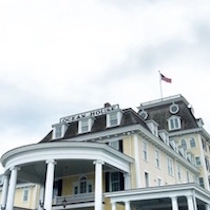 Many of the hotels in and around Newport were Victorian style or very pricey… we happily came across 41 Degrees North hotel and it was PERFECT! 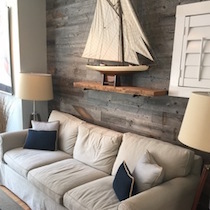 Simple with a modern flare and a lot of young worker’s, this boutique hotel is ideally located right on the harbor in the heart of downtown Newport. Empire Coffee – Yum! Modern, sleek, tasty. I really enjoyed visiting this coffee shop after exploring the International Tennis Hall of Fame (it’s right across the street:). 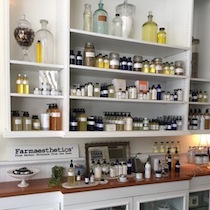 Farmaesthetics– Another beautiful flagship shop in downtown Newport! Farmaesthetics has won many awards for its natural skincare products that are used at spas across the country! The store is really sweet. Newport Mansions – I think the word mansion is an understatement…is that possible? These homes were massive and glorious! Many line the coast and can be seen from the stunning Cliff Walk (similar to the Marginal Way in Ogunquit)! It’s really a beautiful walk and fun to imagine the history behind these elaborate homes. 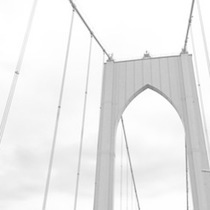 Looking forward to visiting next time: Newport Museum of Art, Newport Mansions, restaurants along the water. Providence: A growing city that reminds me a little bit of Portland, Maine. I can’t say Providence is my favorite city but here are some places that stood out in my mind. Al Forno – The food here is top notch. A classy, Italian-inspired restaurant on the outskirts of town. Expect the wait to be long… it’s worth it;). The Dean Hotel – Hipster, cool, modern. I didn’t stay here but had to take a peek at this stylish boutique hotel. It looks like a little sister to the Ace Hotels and, like them, has a young, witty vibe. Bolt Coffee Co. – Hidden inside The Dean Hotel is Bolt Coffee Co. a wonderful, craft coffee shop that serves Irving Farm coffee (and Tandem too)! They lure you in with amazing blueberry muffins and a bright environment that is sure to help start your day on the right foot! 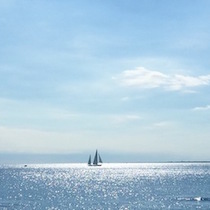 Colt State Park -My parents used to live in Rhode Island and recommended a coastal bike trail that winds from downtown Providence to Colt State Park. The rain held us away this time but I look forward to biking there in the future! Do you have favorite areas or things to do in Rhode Island? Comment below!